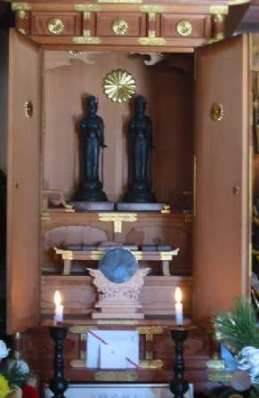 Two Special Attack Peace Kannon (Buddhist goddess of mercy) statues, one for the Japanese Navy and the other for the Army, were created in 1952 and were the first tangible remembrances of the young men in both the Navy and Army who died in special (suicide) attacks during the Pacific War. Several former high-ranking officers supported their creation. These included Lieutenant General Michio Sugawara and General Masakazu Kawabe from the Army and Admiral Koshirō Oikawa, Admiral Sankichi Takahashi, and Vice Admiral Kinpei Teraoka from the Navy. The names of those men who died in special attacks were placed inside the two kannon statues. From the beginning of the Great East Asian War, on which we staked the existence of our nation, suicide attacks were conducted without the slightest expectation of survival. The ages of those fearless warriors ranged from 17 to 30. Leaving behind their parents and loved ones, and abandoning their own promise of a glowing future, these young men carried out human bomb attacks in the skies, on the seas and on the land, while they achieved outstanding military success at the cost of their precious lives. The deaths total some 6,000 men. The suicide operations, incomparable in their tragic bravery, struck terror into their foes and engulfed the entire country in tears of gratitude for their unstinting loyalty and selfless sacrifice. The devotion of the "tokubetsu kōgekitai" will remain forever in the hearts of the Japanese as an expression of patriotism, in its noblest and purest form, while at the same time leaving an indelible impression among the peoples of the world. This spirit has laid the groundwork for the peace and prosperity of our nation today and in future. It is with feelings of deepest sorrow for the deaths of these young men that we enter the historical materials of the "tokubetsu kōgekitai" in this "Yūshūkan." May their spirit and their remarkable achievements inspire us for generation after generation. Association of "Tokubetsu Kōgekitai Irei Kenshō-tai"
Yūshūkan, mentioned in the last paragraph of the plaque above, refers to the museum at Yasukuni Jinja (Shrine) in Tōkyō. Although the second paragraph above states that special attack deaths totaled some 6,000 men, a sign on the outside wall of Setagaya Kannon Temple and a web page on the temple's web site indicate that 4,615 war dead spirits, 2,615 from the Navy and 2,000 from the Army, are honored here. These numbers are difficult to reconcile with other published numbers, since no details of their make-up are provided. A plaque in front of Yasukuni Jinja Yūshūkan by the Tokkōtai (Special Attack Corps) Commemoration Peace Memorial Association gives details of special attack deaths that add up to 5,843, which is consistent with the "some 6,000 men" indicated on the Setagaya Special Attack Kannon Hall plaque. There is a memorial ceremony on the 18th of each month at the Special Attack Kannon Hall at Setagaya Kannon Temple. 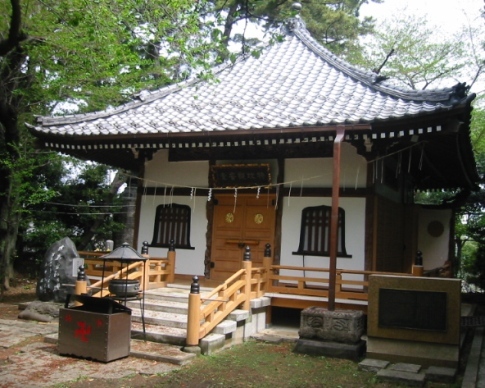 The grounds of Setagaya Kannon Temple have three other monuments in remembrance of men who died in special attacks. These are the Tenzan Corps Monument, Shinshū Fumetsu Special Attack Squadron Monument, and Special Attack Corps Monument with the bronze figure of the front half of a kamikaze pilot standing on a stone pedestal. Tokkōtai Senbotsusha Irei Heiwa Kinen Kyōkai (Tokkotai Commemoration Peace Memorial Association). 1990. Tokubetsu Kōgekitai (Special Attack Corps). Tōkyō: Tokkōtai Senbotsusha Irei Heiwa Kinen Kyōkai.